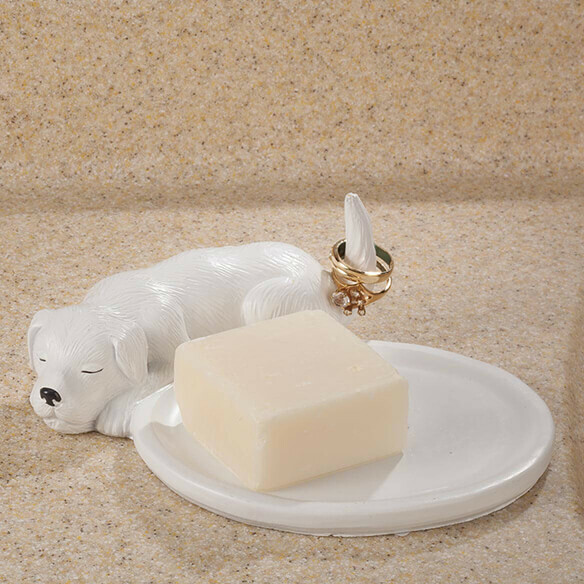 Trust man’s best friend to guard your soap and your jewelry! 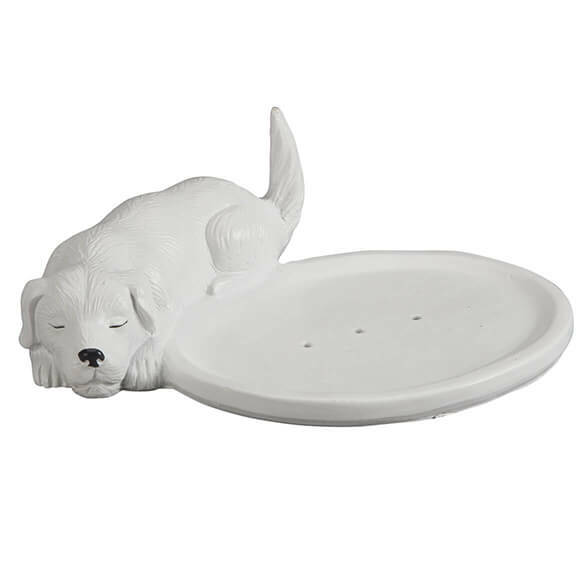 Crafted of high-quality resin for lasting durability, this playful pup’s 1 1/4” H tail holds your rings while you wash. 5” L oval soap dish features holes for self-draining convenience. 6 1/2” L x 5 3/4” W x 2 1/4” H.
The same wanted something different for my bathroom.